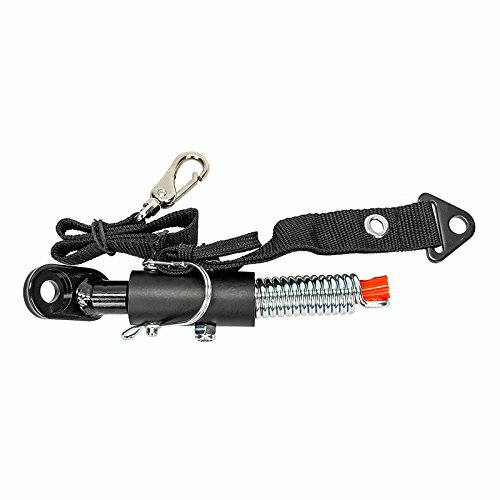 If you have lost your hitch and need the complete Trailer Hitch Assembly for Trailer Tot Bike Trailers or a Cargo Trailer, we have the hitch assembly for you. The actual hitch itself is a solid hunk of hardened steel that securely bolts directly to your bike's rear axle; nothing to break here! You can just tighten the axle nut and leave it on right where it is. The rest of this assembly is held to the hitch with a strong quick release pin shackle for easy on & off. There is even an auxiliary safety strap. This is the same heavy duty hitch assembly that Sunlite Cycling uses on their Cargo Trailer as well as with all of their Trailer Tot models. A better bike-to-trailer hitch system has yet to be invented. A better bike-to-trailer hitch system has yet to be invented. A solid hunk of hardened steel that securely bolts directly to your bike's rear axle. This heavy duty hitch assembly may be used on cargo trailers as well as Trailer Tot models.